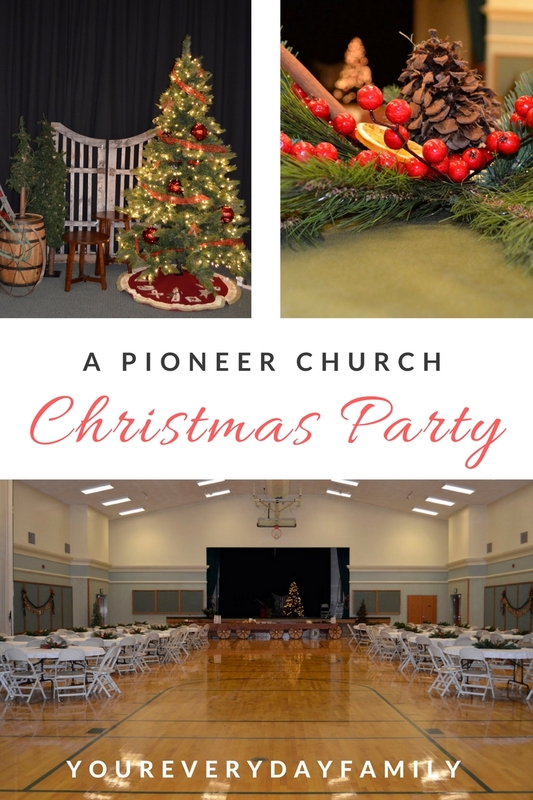 Create a Christmas party inspired by the pioneers! Use these ideas to get your creative juices flowing. Includes free printables! 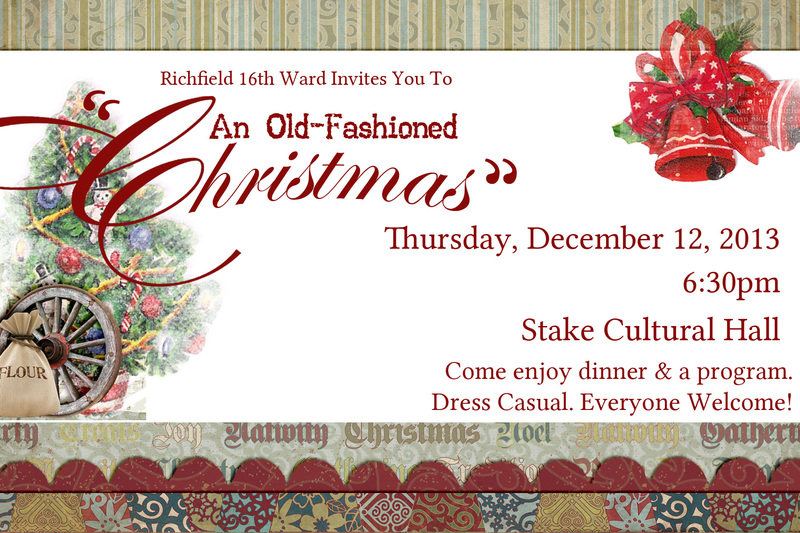 A few years ago, my husband and I were called to be over our ward (our neighborhood church group) Christmas party. We were given free license to do what we like, with the exception of the time of day. It had to be a morning activity with a breakfast. I tried all I could to switch it to a dinner but our ward has insisted on a breakfast for the past several years. And we chose to do a Pioneer Christmas Party with a Silent Auction. The pioneers didn’t have much to give and, at one point, they used the phrase “Christmas gift” to each other as a greeting as that was all they could offer while traveling to the west. Their holidays were simple, focused on being with family, homemade gifts, and gratitude. We wanted to bring that same feel to our party which is why we included a service auction. I had planned one in the past that was a great success! 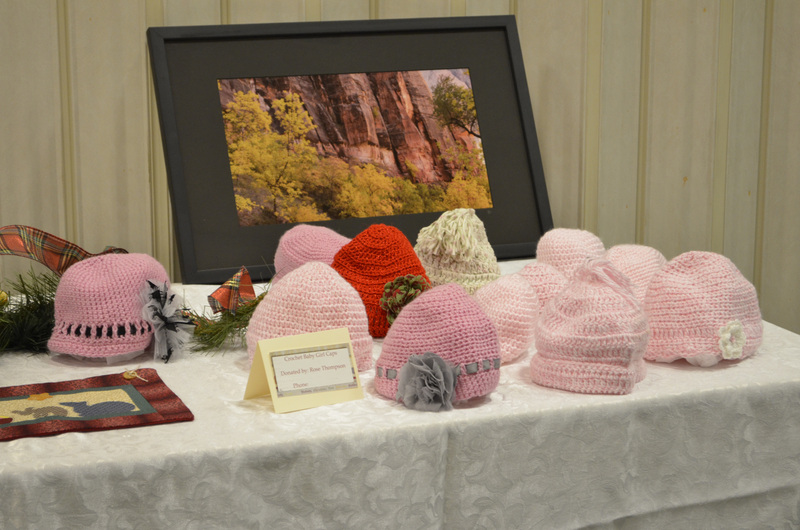 The service auction included a silent auction with items and services donated by ward members. We also did a live auction with bigger items to add more fun to the activity! I will outline how we did the auction below because we didn’t actually did not use real money. 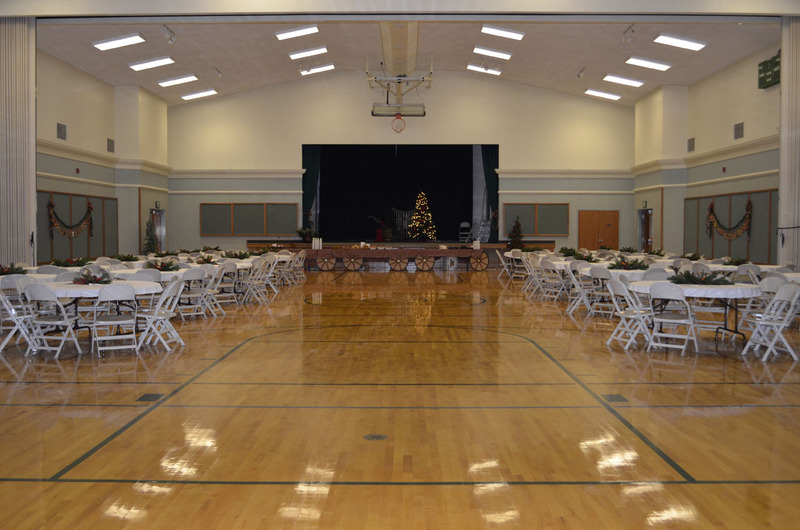 Rather than have all of the activities in the gym, we set up the auction at one end with the food and dining areas at the other end. On the stage, we made a nice Christmas grouping to be our focus. In the other rooms, we had a “post office” for people to come in and write letters to the missionaries. They could also write notes to friends and neighbors with the hope that they would deliver them to people who weren’t there. This included having some store bought cookies they could pile on a plate for delivery. 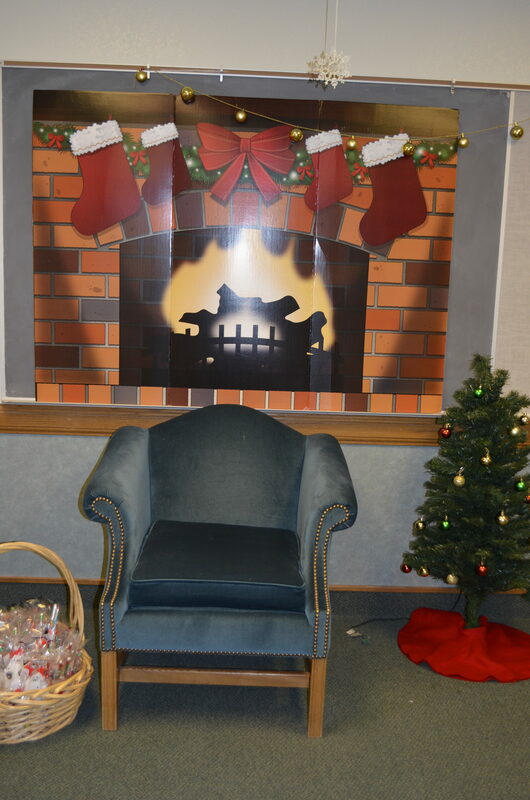 We also set up a room for Santa Claus. For some reason, many did not want to bring back Santa but we knew the kids looked forward to it. Some of the older members thought Santa took too much time away from the activity and we solved it by allowing the kids to visit him throughout the activity in his own space. We still had him arrive to jingle bells and then let everyone know where he would be. 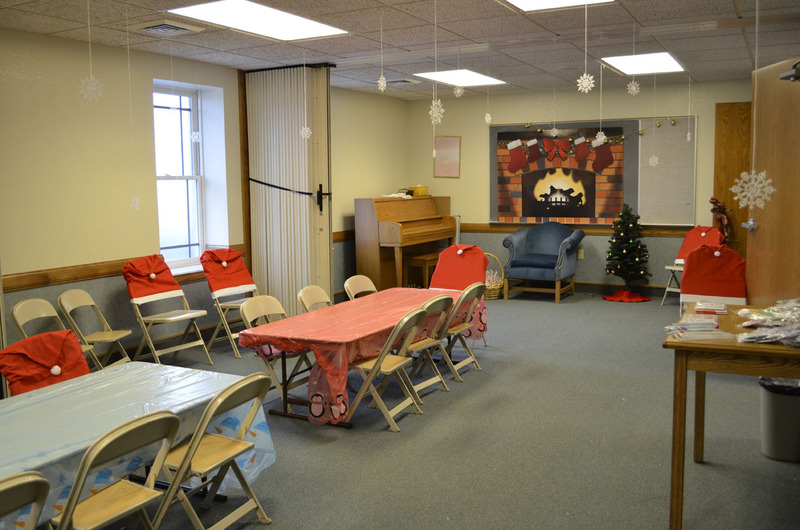 We had the young women in charge of this room which we called “Santa’s Workshop”. They decorated it and set it all up! We had crafts for them to do and a special treat bag Santa would give them. It worked out perfectly! The kids still saw who they wanted and the older people didn’t complain about Santa taking too much time. The backdrop was perfect too, especially for pictures. 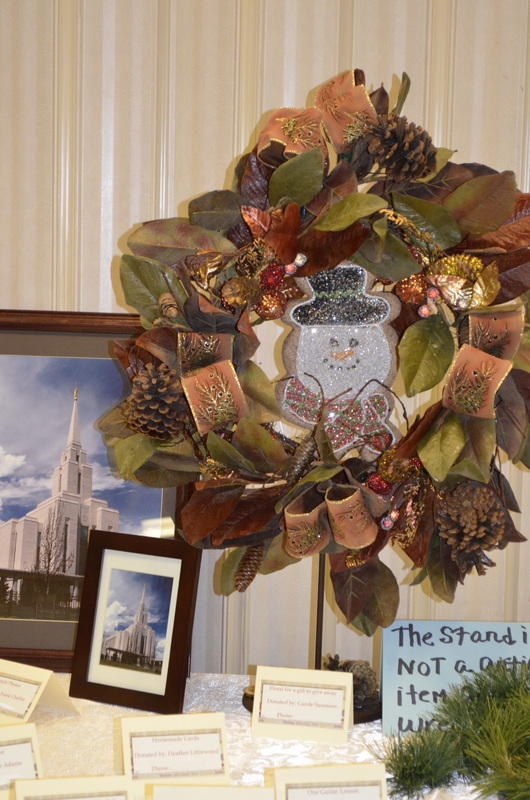 We found the backdrop and the ornament craft kits at Oriental Trading. Another room had a Christmas craft. 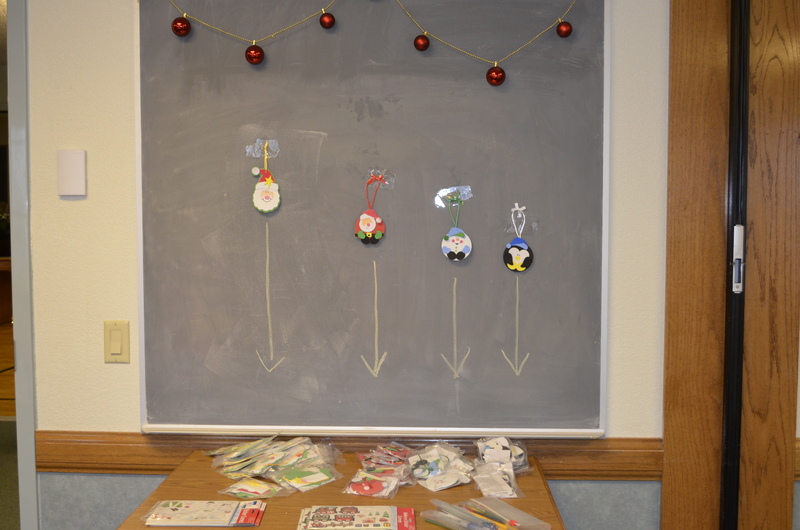 We made tile ornaments using small tile pieces with vinyl people could adhere to the tile. It was easy and inexpensive. 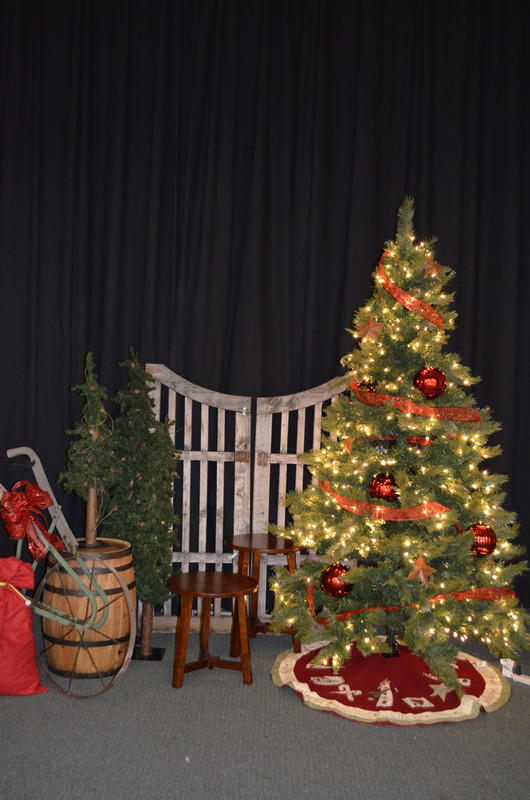 For the decorations, we kept it simple and focused on supplies that the pioneers would have used. 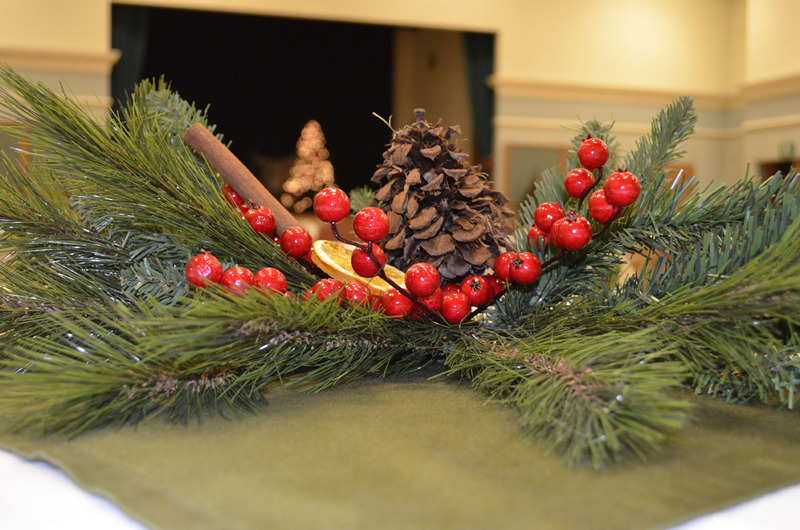 That included burlap, pinecones, ribbon, and holly berries. This was the centerpiece. The gal over decorations did an amazing job! She also added in sliced dried orange slices and cinnamon sticks. It smelled amazing!! 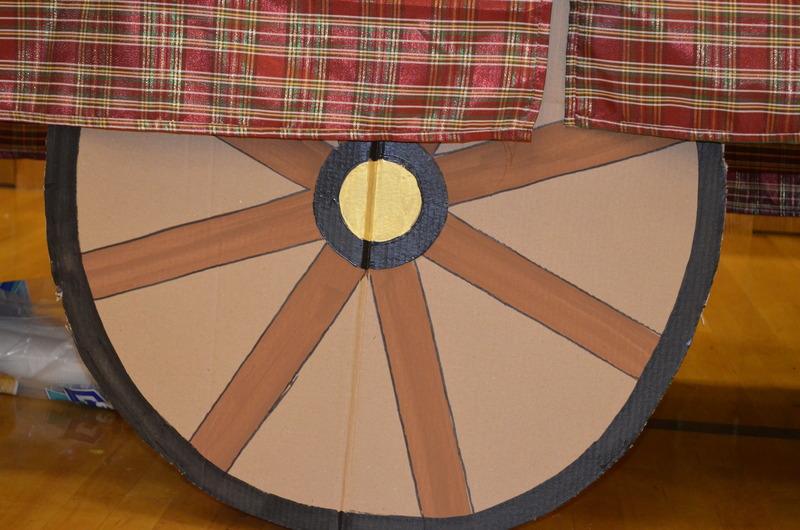 We made some of our own wagon wheels to put on the tables for the food and used gingham tablecloths. As a side note, we did a pioneer type breakfast with eggs, bacon, sausage, and pancakes. We also added some fruit, hot chocolate, and milk. It would have been fun to do biscuits and gravy too! In the 1800’s, a common decoration for Christmas trees and homes was to use homemade food to string along the branches. 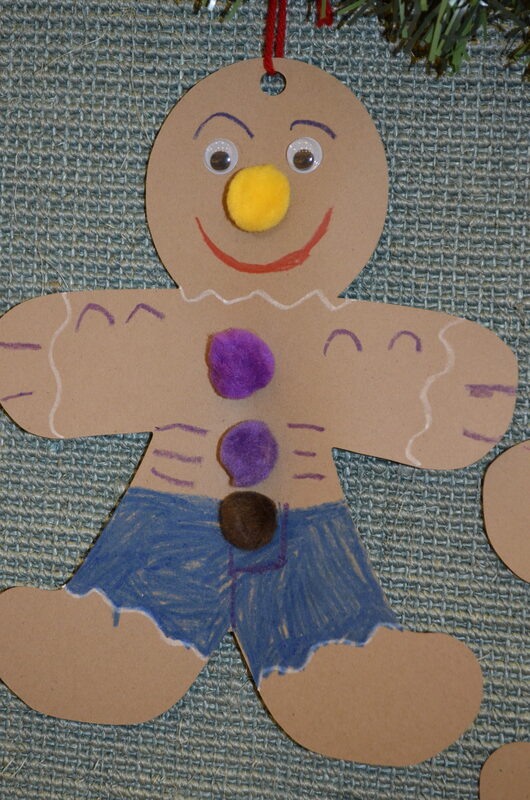 Rather than baking a ton of gingerbread, I thought it would be fun to have the primary kids draw and color their own gingerbread men that we would use along the sides of the gym. 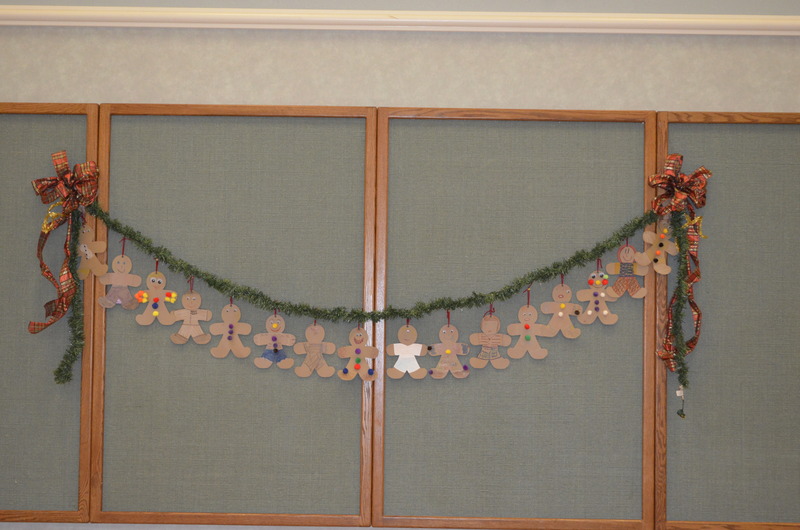 I cut out the gingerbread men from brown cardstock and included googly eyes, pom poms, and other cardstock colors. I gave our primary president the supplies and they did it as a part of sharing time a couple of weeks before the party. It was cute to see all of the individuality! The kids loved showing off their creations to their families. Most parties have a program of some sort. We wanted to keep it simple and included a short program about halfway through the activity, after most had eaten and before we did the auction. We had a couple of musical numbers and asked a couple of people to share Christmas stories either from their own family history or from records found from other pioneers. We also gave a brief history of what Christmas was like in that time. Now for the fun part! The service auction was definitely the highlight. As I mentioned, we set up tables for the auction at the other end of the gym. We had tables for the silent auction and then included a table for the live auction so people would know what items would be auctioned off at that time. 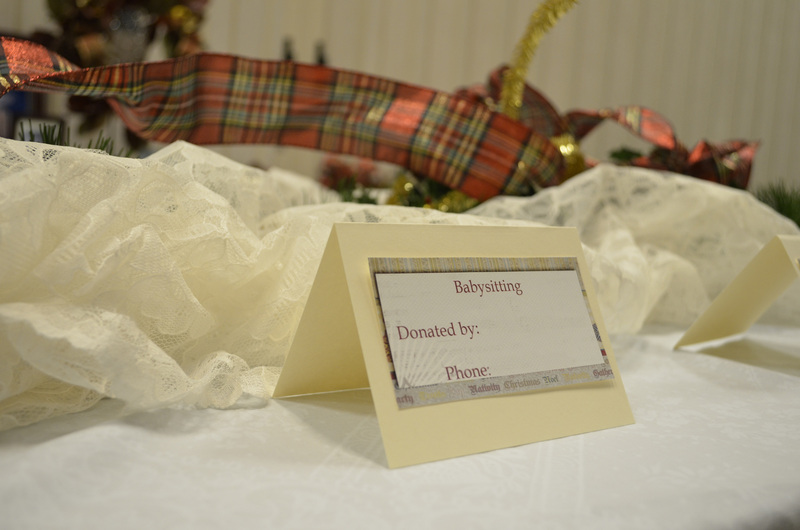 A few weeks before the activity, we made announcements and set around a sign up sheet asking for donations to the auction. 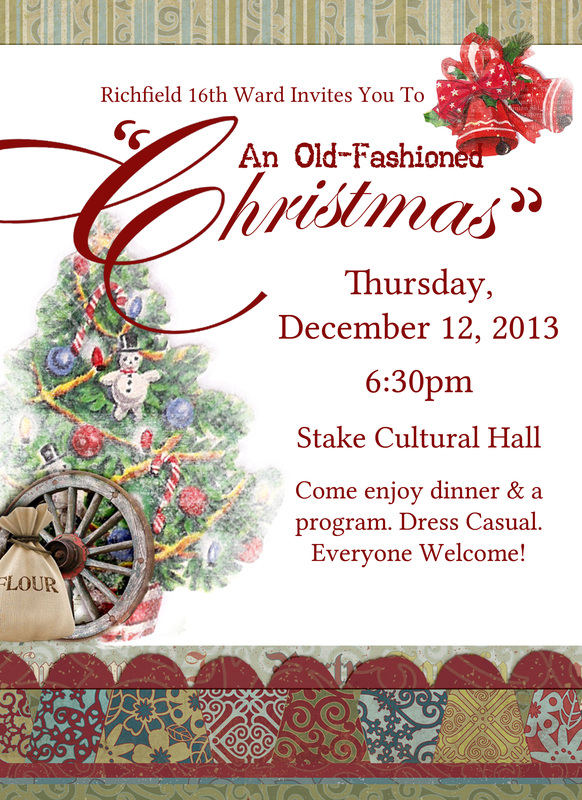 People could donate services, food, homemade gifts, and other nice items (nothing that was falling apart!). I had a committee in charge of the auction and they organized the items, choosing the bigger things for the live auction. 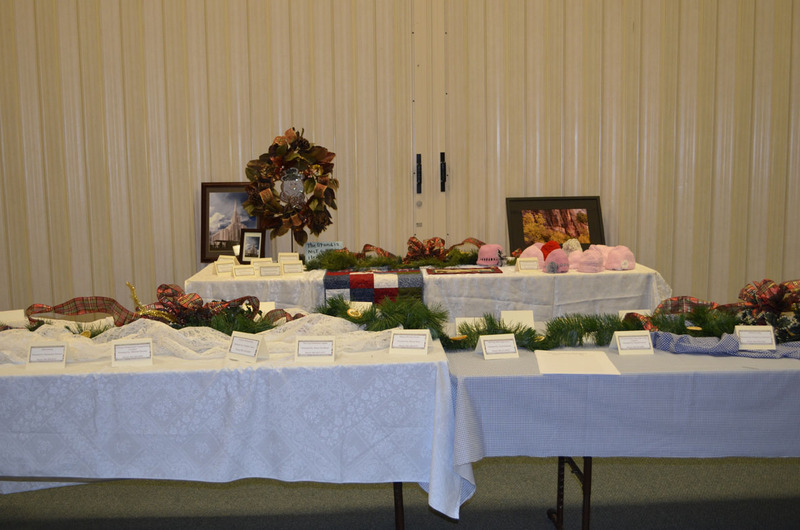 We had a card placed in front of each item and a sheet for listing the bids. We held the live auction the last half of the activity and asked a fun, exuberant elder to be our MC. It was so much fun!! Our ward really stepped up and I loved seeing all of their talents displayed. We obviously didn’t want to use real money. This was a party, not a fundraiser, so we had to figure out what to do for that. Our plan was to use fake pioneer money. In order to get their money, we handed out a service survey to all of the attendees. This was a list of service oriented projects. If they checked certain items off on the list, we added it up and handed them money according to what they checked off, with different items representing a different amount of money. We had a list for adults and one for kids. For example, a child could check off that they were nice to their brother, helped their mom with dishes, and did their homework without putting up a fight. Those three things could equal $10. Adults may have things like doing home teaching, reading scriptures, helping a neighbor, etc. We had a “banker” set up while people were eating who would add it up and hand out the money. We printed and cut out our own. Really, the goal was to be sure that everyone could at least get a decent amount to spend in the auction. The kids especially loved that they had their own money to spend! And there were some fun items for kids too! We also had invitations that we handed out a couple of weeks before the activity. I sized them to a 4×6 and had them printed as photos at Walgreens. I always think it shows a little more thought when you have a nice invitation! We also set up posters in the foyer and printed them off to have in the binders that get passed around Relief Society. I’m including the invites, posters, and tent cards in a download for you to use. Just add your own info and have them printed! The posters are sized to 8×10 and 16×20. Walgreens is a great place to have them printed because they often have discounts. I am also including the info sheets I handed out to each of the committees. Let me know what ideas you have! I always love hearing them. The download is a zip file. You will need to unzip it to access everything.